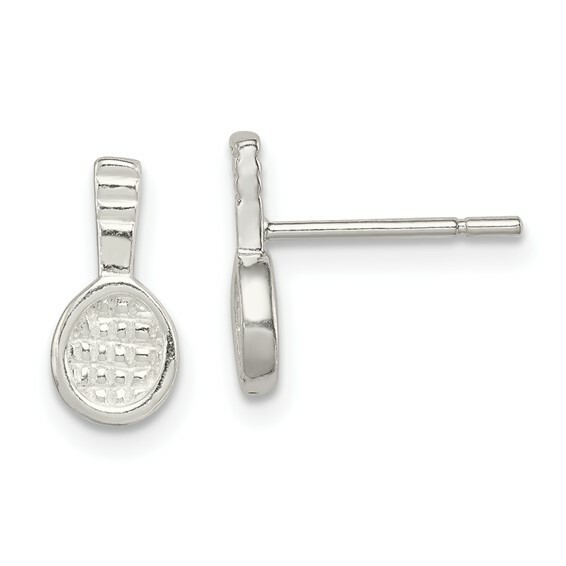 Tennis racquet mini earrings are made of polished sterling silver. Length: 7/16in. Weight: 0.87 grams. Very cute. Just as expected. I bought these for a high school tennis player. Because they are so tiny, they are very subtle and exactly right for her. She wears them all the time.